Launched in Ghana by Jorn Lyseggen, MEST is an 11-year-old pan-African entrepreneurial training program, seed fund and incubator funded by Meltwater—an 18-year-old SaaS company selling business intelligence software. Over 330 individual entrepreneurs have been trained at MEST, nearly 60 tech companies have been launched via seed funding and mentorship and five have exited. These individual entrepreneurs and startups respectively include Paystack's customer success manager, Steve Amaza and Amplify which recently got acquired. Following the traction of their incubator program, Meltwater Entrepreneurial School of Technology (MEST) began organising an Africa-wide technology Summit in 2015. MEST Africa Summit brings together leading entrepreneurs, investors, ecosystem players and executives from across Africa and globally to explore the latest innovations and rising stars in the African tech ecosystem. In addition to panel discussions driven by the continent’s top thought leaders, this year’s event will feature an engaging second day including interactive workshops designed for entrepreneurs, a look inside the MEST training program and incubator, amongst others. This year's 3-day event will take place in Nairobi, Kenya from June 10 - 12, 2019, at the Radisson Blu Hotel and the Nairobi Garage, where MEST Africa’s Nairobi incubator resides. 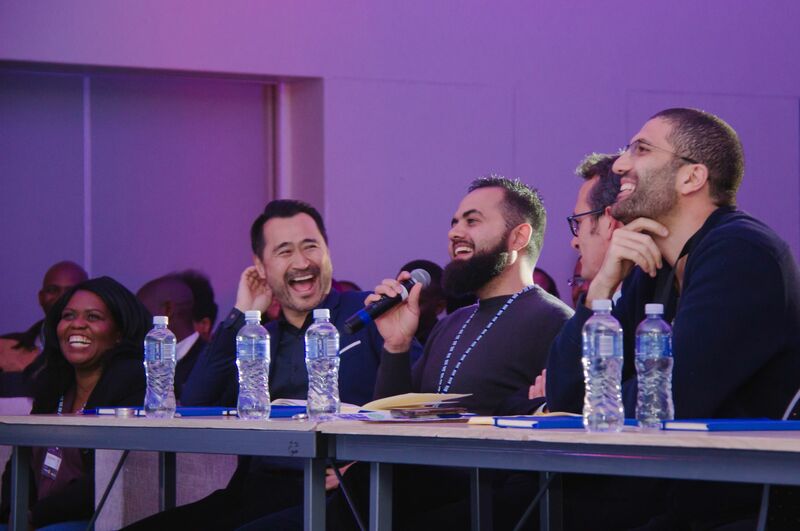 Following the success of last year’s event in Cape Town, this year’s Summit will build on the exponential growth and diversity that the continent’s startup scene has witnessed over the past 12 months. Thought leaders will discuss the latest challenges and opportunities in the African tech space, including the impact of AI and machine learning on Africa’s workforce, the role of tech in cultivating a more energy-efficient Africa, how the creative use of data is enabling financial inclusion on the continent and more. The Summit will feature addresses from MEST and Meltwater Founder and CEO Jorn Lyseggen, and Microsoft’s Senior Director for Africa Chris Langwa. Other speakers to date include Wambui Kinya (Chief Strategy Officer at Andela), Martin Karanja (Market Engagement Director at GSMA), Fola Olatunji David (Head of Startup Successes and Services, Launchpad Africa at Google), Tosh Juma (Managing Director Nairobi, IDEO.org), Olugbenga Agboola (Co-Founder & CEO at partner Flutterwave) and more. The Summit will end with the finals of the 2019 MEST Africa Challenge, where attendees see regional winners AMPZ.TV, Fintech OZÉ, Cybersecurity platform Snode Technologies, Fintech WayaWaya and Agritech Seekewa pitch for a chance at up to $50,000 in equity investment, a place in a MEST Africa incubator of their choice and full support to help their company scale. Additional partners for the Summit include Flutterwave, Liquid Telecom, Africa’s Talking, Ethiopian Airlines, Shell Foundation, African Development Bank, ALX, iHub, GrowthAfrica, Gearbox and more. Register on the MEST Africa Summit to be the first to know when the tickets go on sale.